Dr. Chandrashekar S Ratkal is a trusted Urologist in Kengeri Satellite Town, Bangalore. He has over 41 years of experience as a Urologist. He studied and completed M.Ch - Urology/Genito-Urinary Surgery, MS - General Surgery, MBBS . 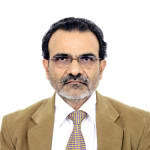 He is currently associated with Rescue Hospital Urology Center in Kengeri Satellite Town, Bangalore. Book an appointment online with Dr. Chandrashekar S Ratkal on Lybrate.com. Lybrate.com has a nexus of the most experienced Urologists in India. You will find Urologists with more than 41 years of experience on Lybrate.com. Find the best Urologists online in Bangalore. View the profile of medical specialists and their reviews from other patients to make an informed decision. I am 24 years old. I have urinary tract infection. I consulted doctor. She gave me meftal spas. How many days l will continue and is this occur again in future what to do. Meftal spas is not an antibiotic and is of no use in treating an UTI. You have to visit an urologist and get urine routine and urine culture examination done to ascertain the kind of infection and what treatment you have to undergo.